Faith and Spirituality in Masters of World Cinema is a fascinating introduction to spiritual aspects in the works of some of the greatest filmmakers in the world, like Bergman, Dreyer and Tarkovsky, Avant Garde director Pedro Costa and Hollywood’s golden boy Guillermo del Toro. It covers directors from around the world and shows diverse manifestations of spirituality in film; everything from how camera movements can imply spirituality to specific religions, like Islam and Christianity. 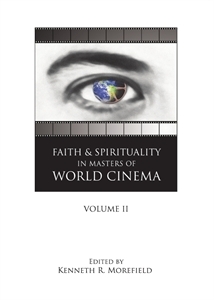 Faith and Spirituality in Masters of World Cinema, Volume II continues the work presented in the first volume of this title, published by Cambridge Scholars Publishing in 2008. It provides informed yet accessible articles that will give readers an introduction to masters of world cinema whose works explore the themes of human spirituality and religious faith. Volume II contains essays dealing with canonical directors notably absent from the first entry of the series (such as Godard and Kurosawa) while also including examinations of contemporary auteurs who are still actively working (for example, Andersson, and von Trier). While retaining a truly international emphasis—it includes essays about directors from the United States, Canada, Iran, Sweden, India, Denmark, Italy, Mexico, Australia, and Japan—Volume II also acts as an important contribution to canon formation, illustrating the complexity and variety in the films of those who are truly the masters of world cinema. 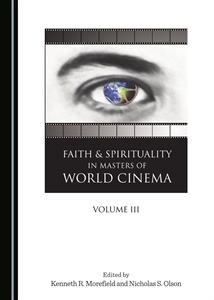 Faith and Spirituality in Masters of World Cinema, Volume III continues the work presented in the first two volumes of this title, published by Cambridge Scholars Publishing in 2008 and 2011. 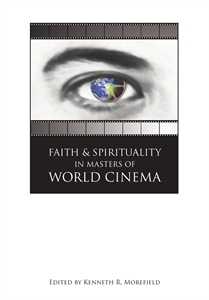 It provides informed yet accessible articles that will provide readers with an introduction to masters of world cinema whose works explore the themes of human spirituality and religious faith. Volume III contains essays dealing with canonical directors notably absent from the first two entries of the series, such as De Sica and Hitchcock, while also including examinations of contemporary auteurs who are still actively working, like Asghar Farhadi and Apichatpong Weerasethakul. While retaining an international emphasis similar to the first two volumes, it also includes a focused look at a few American auteurs not yet considered in the series. Volume III also acts as an important contribution to canon formation, illustrating the complexity and variety in the films of those who are truly the masters of world cinema. Built solidly around close, formal readings of selective films, the essays in Volume III also demonstrate familiarity with film history and bring insight from varied disciplines. Framed by the question “What makes movies material?”, Volume III continues the series’ endeavour to have faith and spirituality provide a context for considering what makes cinema significant. Jane Austen’s Emma: A Close Reading Companion is a chapter-by-chapter analysis of one of literature’s first great novels. 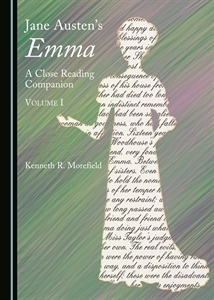 Morefield combines an academic’s breadth of knowledge with a fan’s enthusiasm to craft a reading companion that will help illuminate the novel regardless of whether the reader is approaching Austen’s work for the first time or the twentieth. Deliberately crafted with the student in mind, this title offers lucid, specific, and often surprising interpretations of key passages in each of the first eighteen chapters of Emma. Subsequent volumes will complete the comprehensive close reading.